On the road with Bear Hands and Kiev. It’s been a crazy 11 years since UK rock band Foals first formed back in 2005. Together, the four-piece has put out four albums, six EP’s, and 19 singles—and they refuse to slow down. In support of their latest album, What Went Down, the alt rockers decided to take their tour stateside, and we were lucky enough to catch them kick off the North American leg of their tour at Seattle’s Paramount Theater this past September. The “Mathletics” singers boasted an awesome setlist that seamlessly wove together standout tracks from their previous albums, such as “Olympic Airways” from their 2008 debut, Antidotes, “Spanish Sahara” from their 2010 follow up Total Life Forever, and of course, an array of songs from What Went Down, including single “Mountain at My Gates”, which peaked at No. 1 on the US Billboard Alternative Songs chart. Missed out on a chance to see Foals live? Check out our photo gallery of the English rockers to experience the magic for yourself. 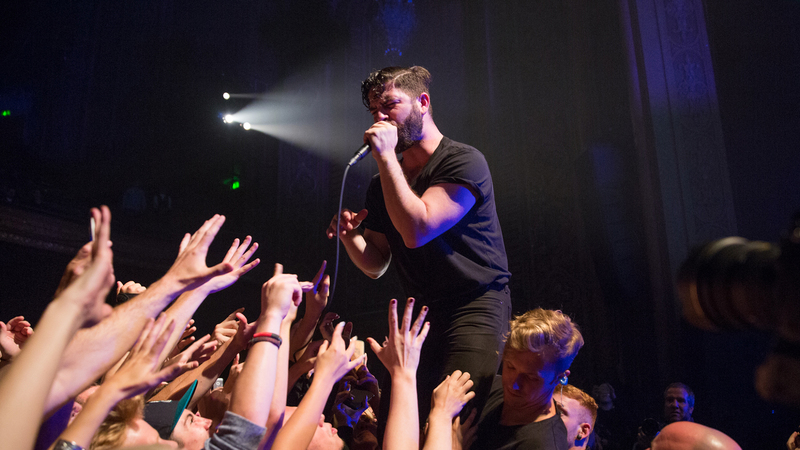 Also, be sure to follow Foals on Bandsintown to find out when they’ll be playing at a venue near you.